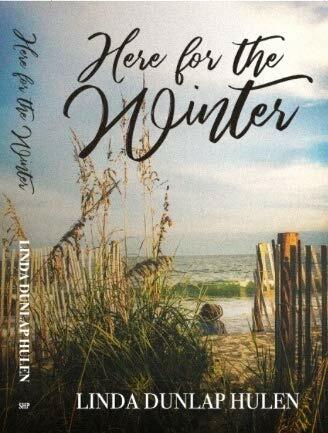 Here for the Winter by Linda Dunlap Hulen is an inspiring story that is difficult to put down. Callie Carlson is a widow and mother of two grown children. After the unexpected death of her husband, Max, Callie is plagued with many unanswered questions about the last six months of their marriage. When her son, Graham, is married and her daughter, Laney, is off to college, Callie decides to spend the winter months at a beach house in South Carolina. She can't bear to be in the family home all alone. She is searching for answers that she may never find and she is trying to start a new life. "This trip was an escape from the life that no longer existed." Linda Dunlap Hulen presents a riveting and inspiring story of love, loss, heartache, forgiveness and so much more. I loved this book. Great story...couldn't put it down. This intriguing story has well thought out and well-developed characters that you will both love and hate. In the midst of her characters discovering new paths to walk, Linda Dunlap Hulen provides inspiration and encouragement to her readers by reminding them that we can do all things through Christ and that without forgiveness, there can be no lasting joy. This story takes many twists and turns and I was happy to be along for the ride. Be forewarned...this book is very hard to put down. It is compelling, it is tender, it is honest and it is well worth the read.